Cutting oil is a type of lubricant used for machining and metalworking processes. It is also known as lubricant, coolant, cutting fluid and cutting compound. A quality cutting oil will keep the cutting materials at a stable temperature, prolong the life of the cutting tool and be safe to humans as well as the environment. Safety factors to consider are the level of bacteria, toxicity and fungi that is the cutting oil produceds. There are many types of cutting oils. They come in various forms such as pastes, gels, aerosols and liquids. Liquid cutting oil comes in the form of synthetic, mineral and semi-synthetic forms. Gel and paste cutting fluid are used by spreading over machine applications. Aerosol cutting oils are in a can. 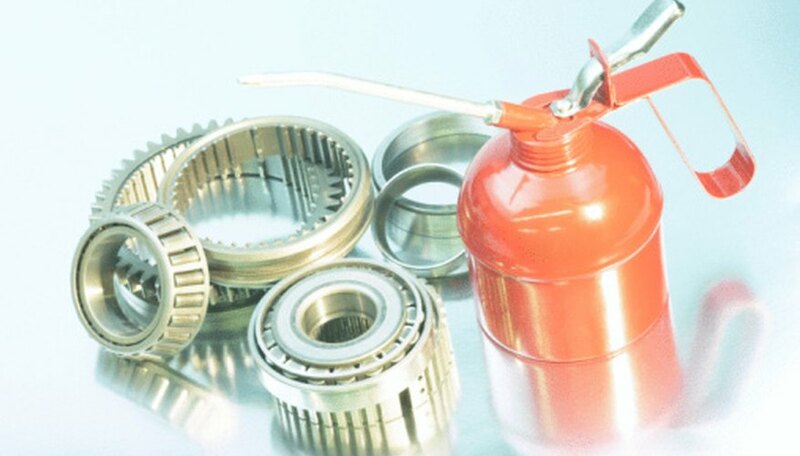 An example is WD-40, which is used to lubricate gears and rusty metal. You can use cutting oil for threading machine operations. It is also good for light drilling and hacksaws. Dark cutting oil functions well with turning machinery such as large drill bits. Another function of cutting oil is for cooling metal cutting operations. When using cutting oil as a coolant, you add it to the object after the cuts have taken place. This is an added or alternative measure to using ambient-air cooling. One function of cutting oil is for adding lubrication between the cutting tool and the cutting material. Cutting oil acts as a lubricant to prevent friction and reduce the heat that is generated between the objects being cut. Cutting oil can come in various physical properties. Cutting oil is insoluble in water. The oil can be in a clear or dark form and has a petroleum odor. Cutting oil can be boiled between 465 and 900 degrees Fahrenheit. The viscosity of cutting oil is 30 to 35 centipoises. Darrin Kuykendall has been writing since 2003. His collegiate case studies appear in “Strategic Management 11th edition" and he is a new-media expert and publisher at the Profit Doctrine website. Kuykendall holds a Master of Business Administration in information technology and a Master of Science in finance from Bentley University.